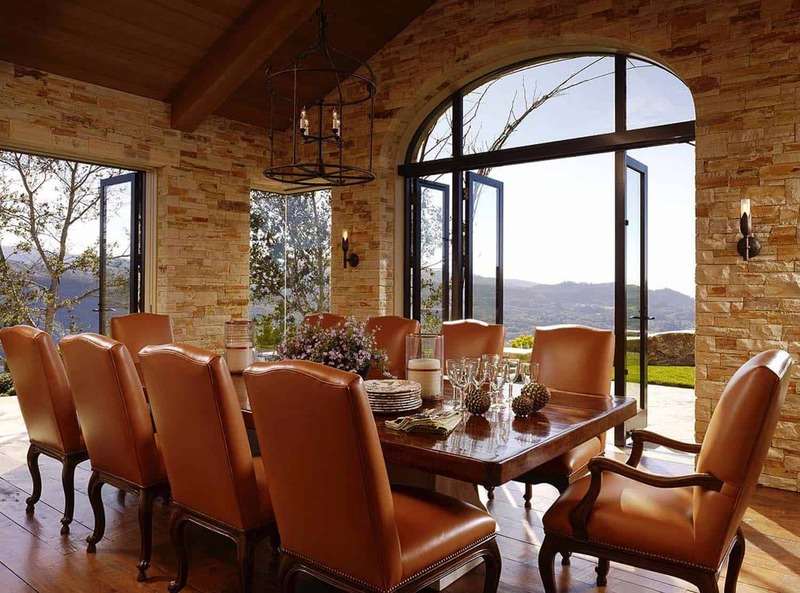 This Mediterranean style retreat was designed by Walker & Moody Architects in collaboration with Tucker & Marks, situated high on a ridge above the central coast in Tehama County, California. 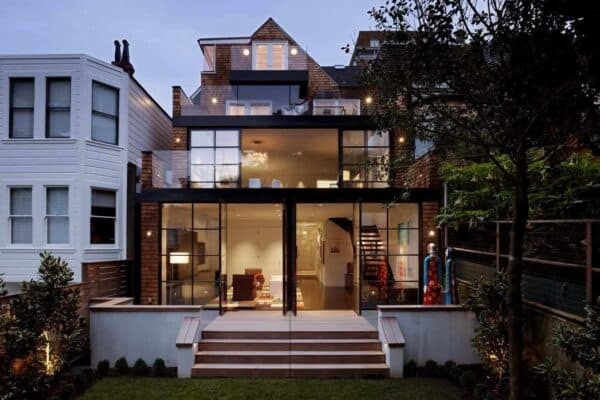 A striking residence that boasts flowing living spaces, vaulted ceilings and expansive terraces capturing the morning and evening sun. The design team took a playful approach to the finishes and textiles throughout the interiors. 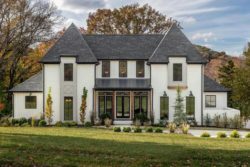 The project features a mix of textured indigenous stone, hand-hewn and sandblasted woods, antiques, new pieces, and fabrics – linen prints, cushy chenilles, and soft cottons – reflecting a modern yet casual feel. 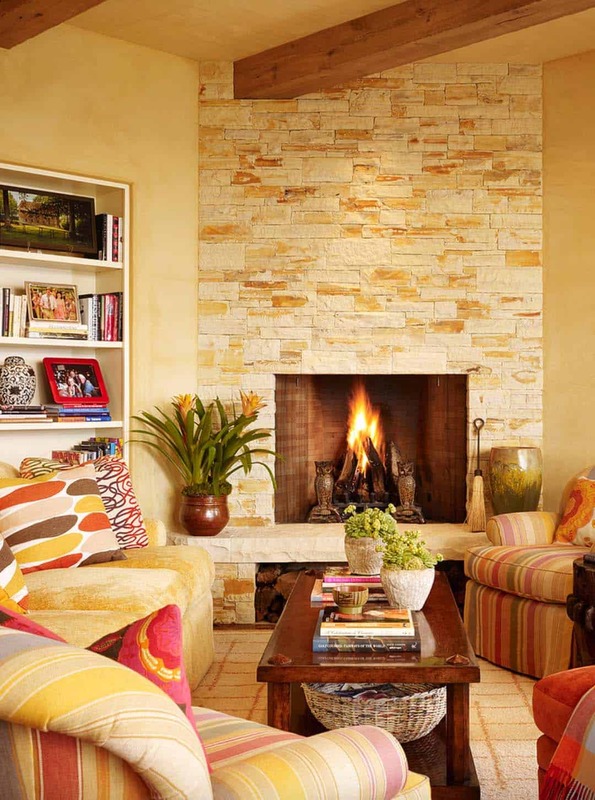 What We Love: This incredible Mediterranean style retreat offers brilliant interior styling that creates warm and inviting living spaces. 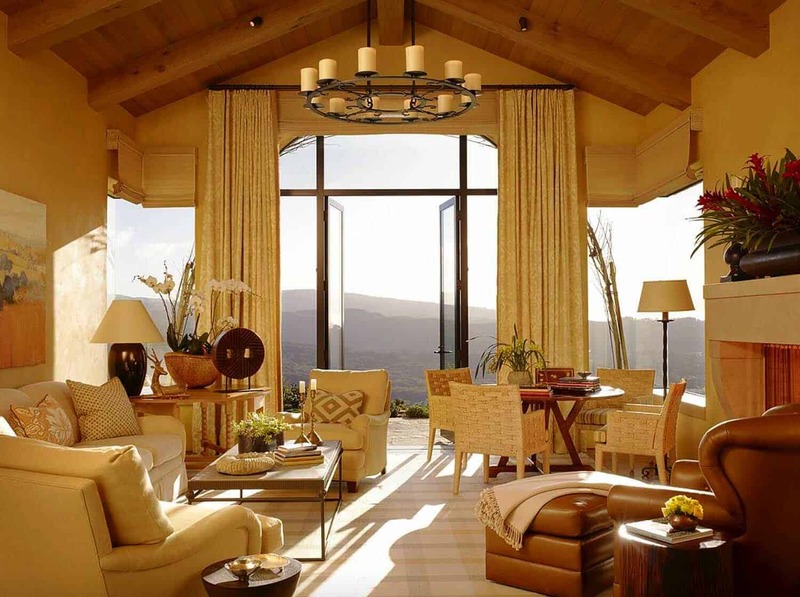 The sweeping views from this home are perfectly captured from the cozy yet elegant living room. 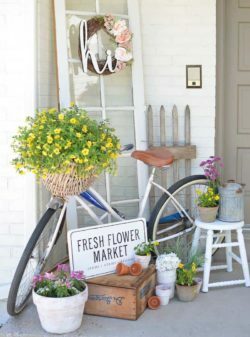 French doors from this space leads out to a terrace, where one can soak up the beautiful California sunshine. 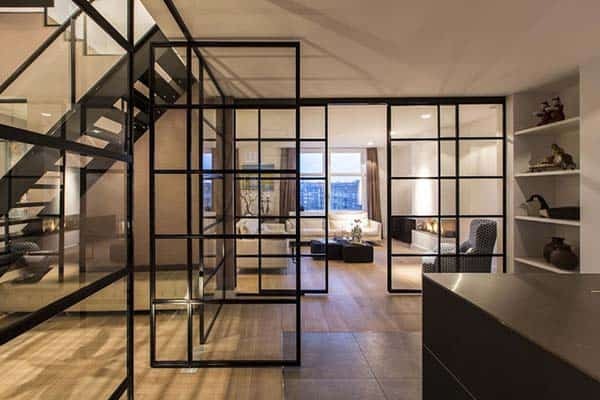 We are especially loving how all of the bedrooms offer private balconies with their own fabulous views!… Readers, what are your overall thoughts on the design? 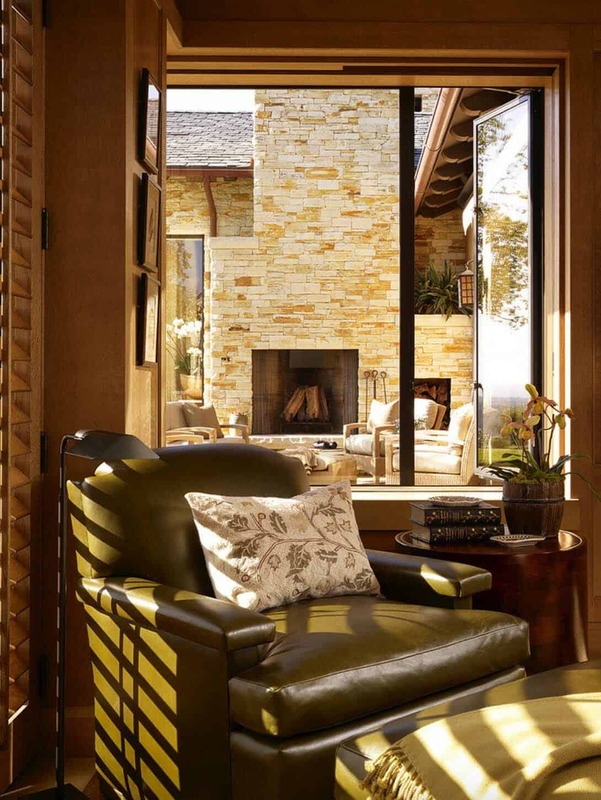 Note: Have a look at another fabulous project that we have featured here on One Kindesign by the designer’s of this home, Tucker & Marks: Spanish-style hacienda in Carmel Valley showcases inviting design. 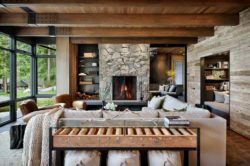 Above: On the floor is a custom wool and mohair area rug was manufactured by Sloan Miyasato. The coffee table base was purchased from Formations, and the limestone inset top is from Fox Marble. The painting is by Paul Balmer, the title is “Summer Abstracted”. Above: The side table next to the club chair is made from a section of an old, reclaimed ironwood tree, purchased from JRM International. The console table below the painting is a French 19th century elm desk, purchased from Ralf’s Antiques. The beautiful painting is called “Red Smoke” by Jennifer Brook-Kothlow. 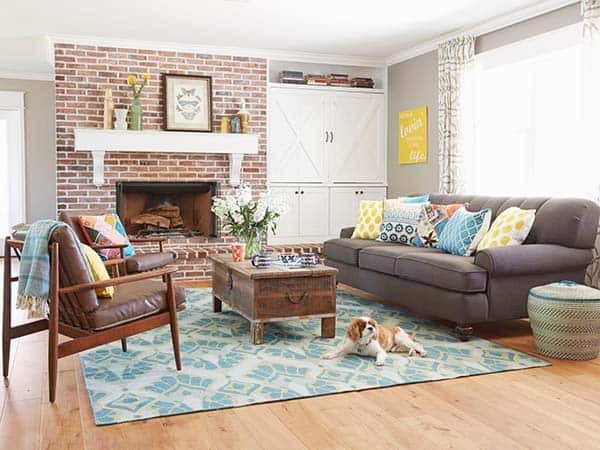 If the wall color appeals to you, try Benjamin Moore #957 Papaya. Above: The lantern in the entryway is a Large Cubic Lantern with three lights in an aged bronze finish, from Formations. 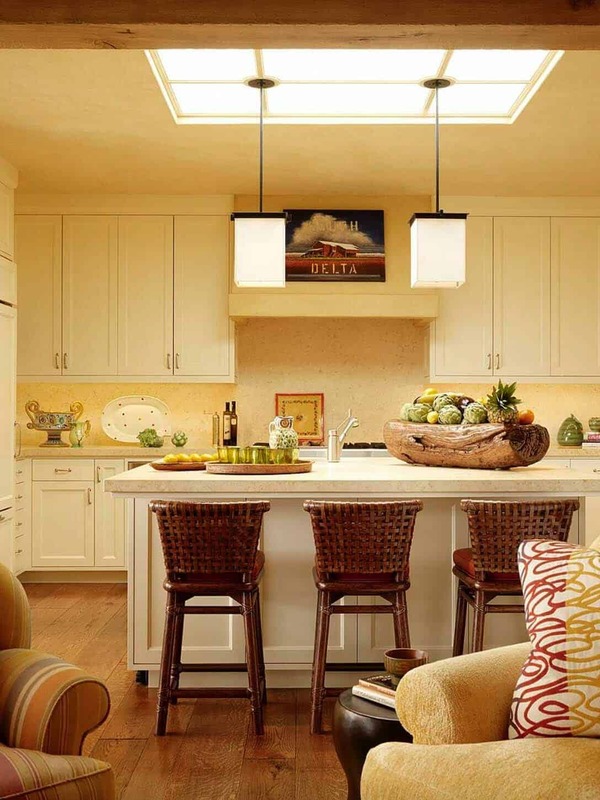 Above: The kitchen island bar stools are the “Laced Rawhide Back Bar Stool” in a tobacco finish, purchased from The McGuire Company. The kitchen countertops are a “Tiberius Gold” stone countertop, while the cabinets were custom-built and painted in Antique Yellow OC-103 | Benjamin Moore. 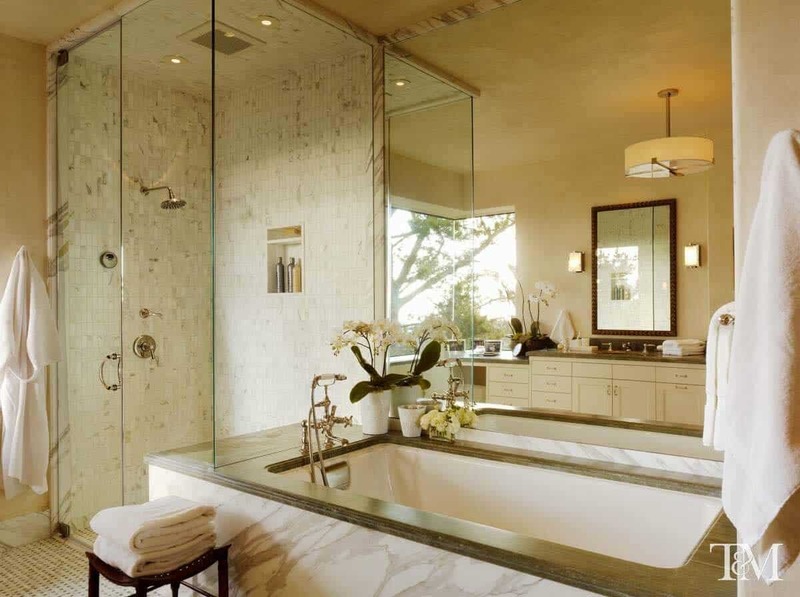 On the ceiling you will notice a skylight with 2 pendant lights (mounted to skylight frame) in a steel-dark patina finish with a rectangular linen shade in a cream color (from Holly Hunt). 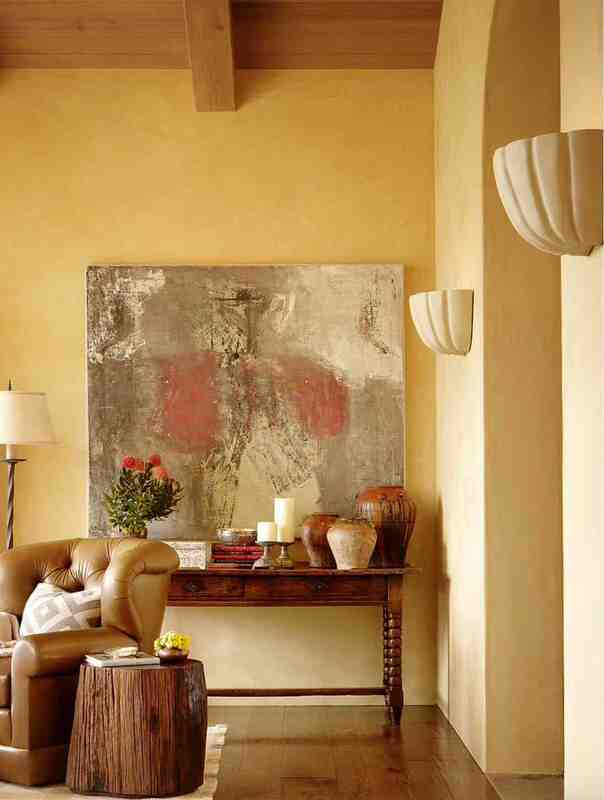 The paint finish is hand-troweled plaster walls with a custom-mixed warm straw color. This floor features oak wooden planks with a clear stain. 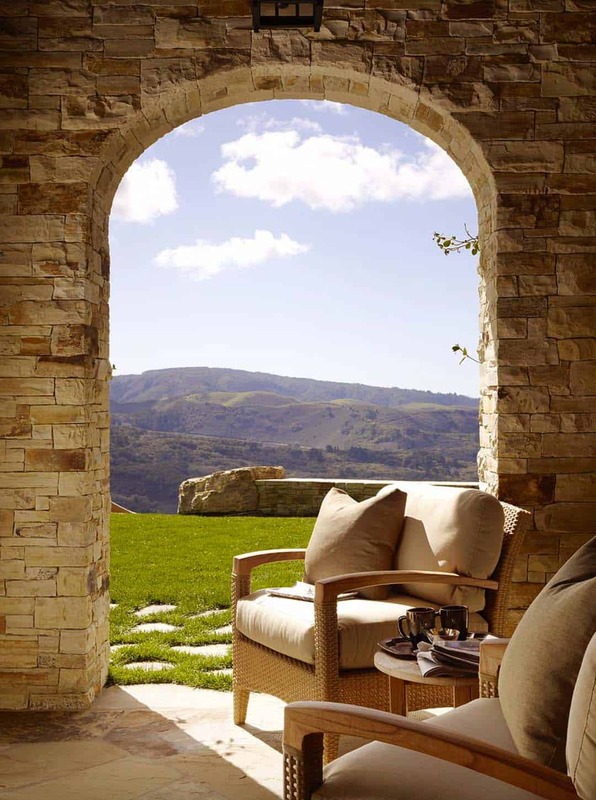 Above: These rattan dining chairs are from McGuire. 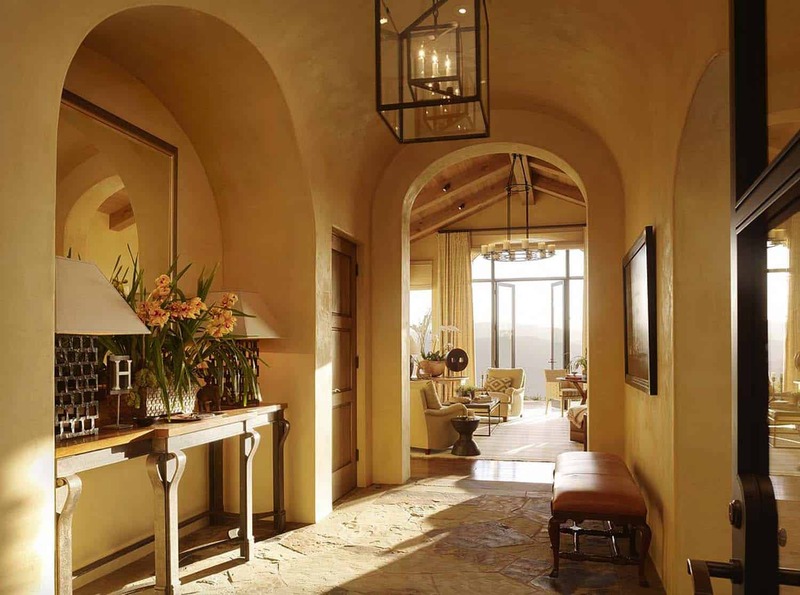 The hand-troweled plaster walls have a custom-mixed warm straw color, inspired by the colors of the indigenous stone and earth of the central California coast area. 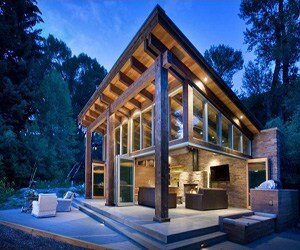 The flooring is wooden oak planks. Above: The dining table side chairs feature scrolled legs and antique brass nailheads along the base of the seat. They are upholstered in a saddle colored leather from A. Rudin Furniture (the item# is SC 560, the finish is Chestnut #35, with antique brass nailheads). 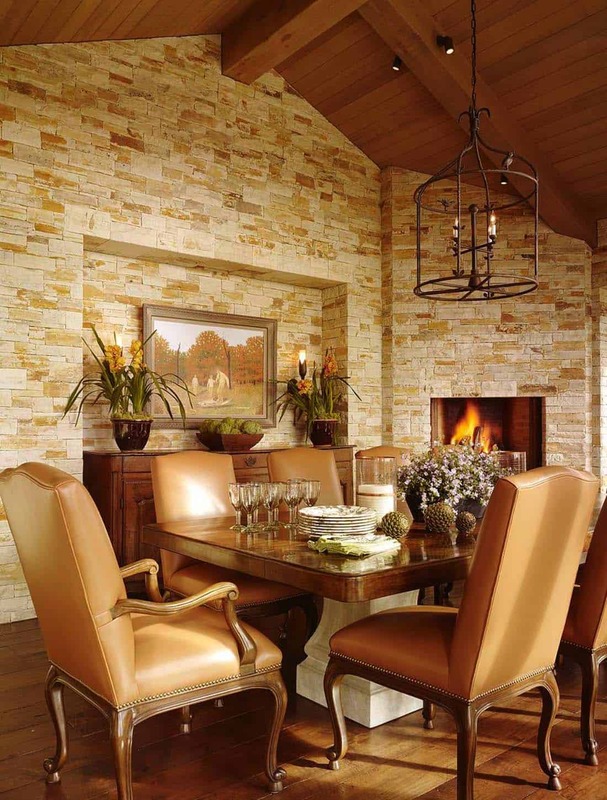 The cast stone bases of this dining table are from Michael Taylor Designs. The lantern is an iron Giacometti style four-light lantern with leaves, an owl, and a bird in a bronze finish was purchased from Carole Gratale. 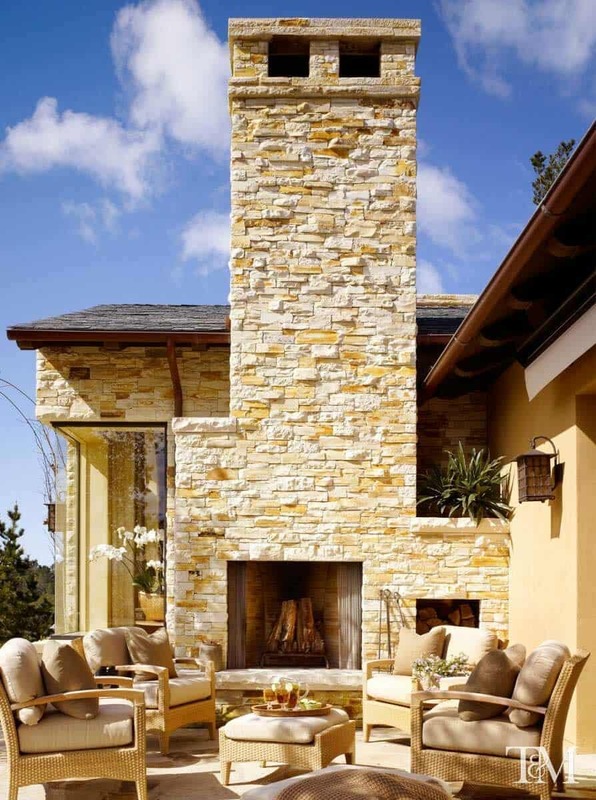 The wall finish is comprised of stone indigenous to the California location of this house. 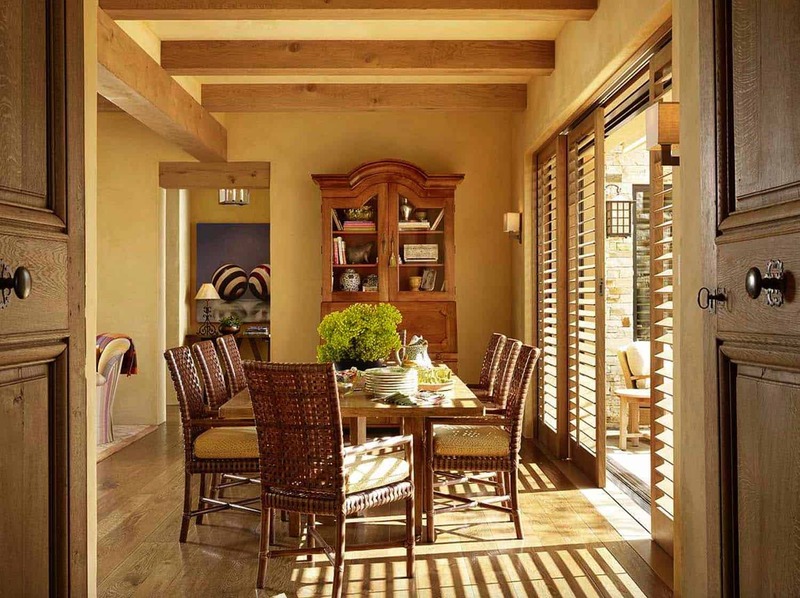 Above: The light fixture above the dining table is a Giacometti-style lantern, purchased from Carol Gratale. 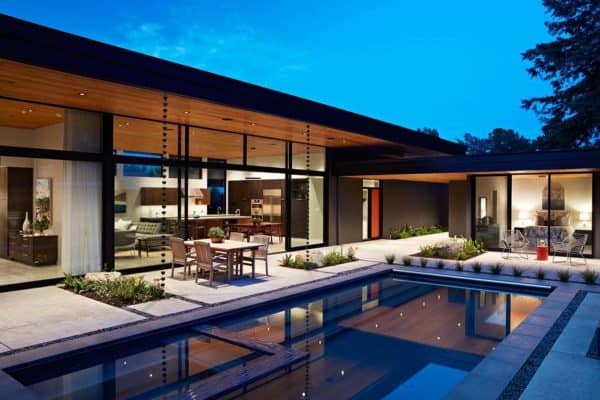 The metal-framed windows and doors were custom-designed and manufactured for this project. Above: The window treatments are made with a leopard print linen from Raoul Textiles at De Sousa Hughes, called “Leopard” in the Olivine colorway. The Roman Shades, in a pale raffia-like material, are from Conrad. 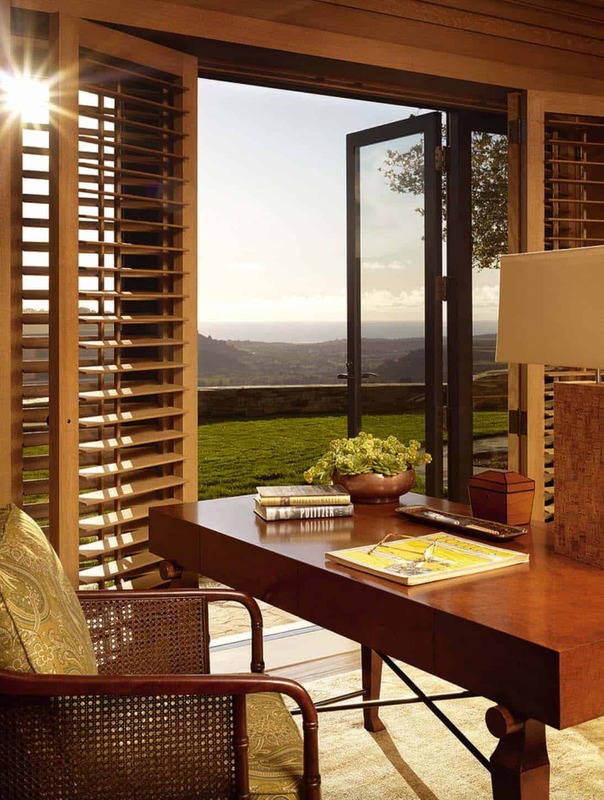 Above: In the home office, the plantation shutter doors were custom-fabricated. Above: The fabric used on the pillows and headboards is an embroidered floral linen from Zimmer Rohde, called “Blanche”. The coverlets with a quilted pattern are from Scheuer Linens. 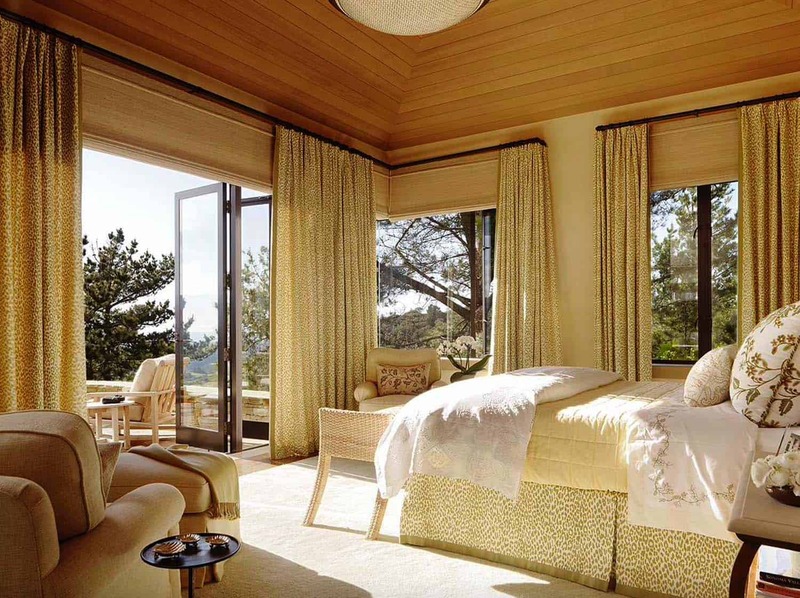 The curtain fabric is called “Eaton Check” in the color Yellow, from Colefax & Fowler. The walls are covered in “Primitive Weave” grasscloth wallcovering from Kneedler-Fauchere. The ceiling is made of rough-sawn cedar wood, with a clear finish. The ceiling light fixture is a slumped glass chandelier with a decorative iron swirl design in a twig colored finish, purchased from Ironies. Above: The flooring material is Sweetwater Cherokee stone. 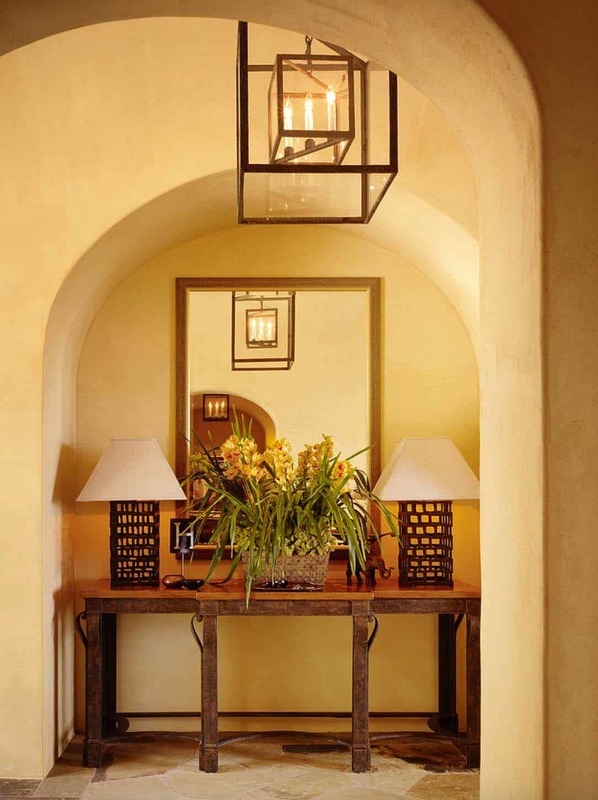 The ceiling light fixture is a Large Cubic Lantern with three lights in an aged bronze finish, from Formations. The ceiling wood is oak with just a clear finish.